EDUCATION: Holly Carr is a graduate of the Nova Scotia College of Art and Design. 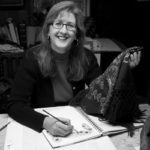 – Carr is widely known for her unique style of silk painting. Bold satirical images explore everything from human interactions and social stereotypes to her love for the natural world. Holly Carr’s sense of humour underlies all of her work pointing a finger at the absurd as well as the touching. – 2003, Carr’s largest project to date the “Terrarium” was installed in the Nova Scotia Museum of Natural History, a 25’ diameter and 20’ high environment depicting the natural world. -Ventured into theatre, beginning with designing for “Little Lame Prince” and “When Dinosaurs Dine by Moonlight” both of which were productions of Mermaid Theatre of Nova Scotia. -painted live with an adlibbed monologue in Will Power Theatre’s production of “Private Views” performed live in the main gallery of the Art Gallery of Nova Scotia, where her dialogue with the audience was woven into a painting she created on the spot as well as the three one act plays taking place in the gallery space. – performed with numerous musicians including a cross Canada tour with writer storyteller Stuart Mclean and the Vinyl Cafe. During these events Holly Carr paints live on large vertical panels of silk. 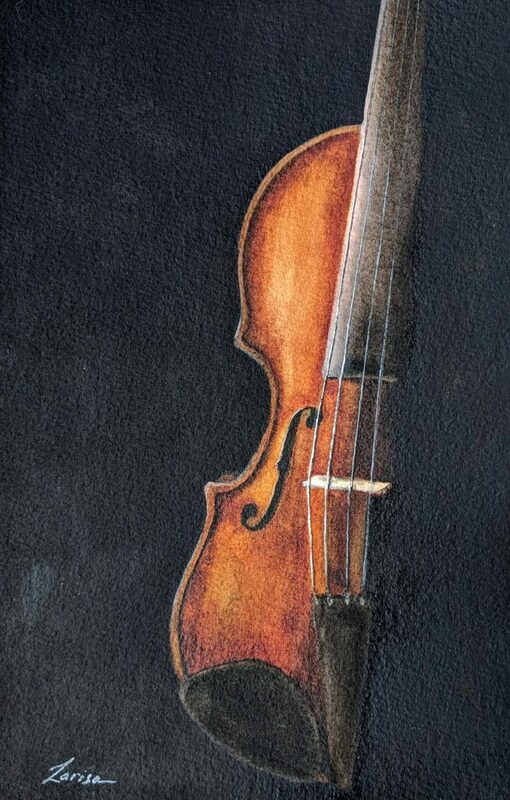 -Recently, Carr was invited to perform in Singapore, with world renowned violinist Min Lee, as well as performances in Ottawa where she painted with the National Art Center Symphony. – first children’s book “What is Pink” an illustrated poem by Christina Rossetti, Rubicon Publishing. -article published in “Peinture Sur Soie” Lyon, France. -work in numerous private and public collections. Canadian community” – Transcending Connections 2018, MLCS Graduate Student Conference, University of Alberta (February, 2017). “Images of Faith, Hope, and Beauty”, Presentation and Tour, Enterprise Square: Kule Folkore Centre (January 2018). “Past Imperfect – The Ukrainian Canadian Experience” Guest Lecture and Tour, Art Gallery of Alberta: ACUA (Aug/Sept 2017). “Five Waves of Inspiration” Guest Lecture and Tours, Edmonton: Art Gallery of Alberta (May 2017). “Creating a Sense of Place One Stitch at a Time: The role of embroidered pillows in the Ukrainian – Canadian community” – Heritages of Migration: Moving Stories, Objects and Home. University of Birmingham, UK, Ironbridge Institute Conference – Buenos Aires, Argentina (April 2017). “The Arts and Cultural Identity” – Conference Presentation – Ukrainian Canadian Congress Triennial Conference, Regina, SK (Nov 2016). “History of Ukrainian Embroidery in Alberta” – Guest Speaker, Costume Society of America – Western Region Conference. Edmonton, AB (July 2016). “Pillow Talk” – Vegreville Pysanka Society – Vegreville, AB (July 2016). “Embroidered Memories” – Guest Speaker, UAlberta Dept. of Finance – Conference (Nov 2015). “Collecting Embroidery” – Reflecting on Summer Fieldwork & Research” – Keynote Speaker, Ukrainian Self Reliance League Luncheon. Edmonton, AB (Oct 2015). “ACUA – 35th Anniversary Keynote Address” – Edmonton, AB (Sept 2015). “Embroidered Memories: The Ukrainian-Canadian Embroidered Pillow” – Student Poster Presentations, Human Ecology, University of Alberta (Apr 2015). “Collecting Memories: The Ukrainian Canadian Embroidered Pillow” – Guest Speaker, Alberta Pioneer Association, AGM, Edmonton, AB (Apr 2015). “History of the Rusalka Ukrainian Dancers in Calgary”- Keynote Speaker, Friends of the Ukrainian Folklore Centre, AGM, Edmonton, AB (Aug 2014). “Celebrating Women: Honouring the Pride Passion and Perseverance of Canadian Women” – Guest Lecture Tour. Sponsored by the National Council of Women of Canada (NCWC). Presentations in: Victoria, Vancouver, Calgary, Edmonton, Saskatoon, Winnipeg, Ottawa, Montreal (2004/05). “Flowers of the Bible” – Guest Lecture Tour. Sponsored by the Ukrainian Canadian Women’s Association of Canada. Presentations in: Vancouver, Victoria, Kelowna, Calgary, Edmonton, Saskatoon, Regina, Winnipeg, Toronto, Ottawa, Montreal (1999/2000). Cheladyn, Larisa Sembaliuk, Baba’s Coat, Edmonton: UCAMA (Pending publication – Nov 2018). Cheladyn, Larisa Sembaliuk, (2017) Five Waves of Inspiration, ACUA: Edmonton. Cheladyn, Larisa Sembaliuk (Pending publication) “Creating a Sense of Place One Stitch at a Time: The role of embroidered pillows in the Ukrainian Canadian community”, paper presented to Heritages of Migration: Moving Stories, Objects and Home Conference. Buenos Aires, Argentina. April 2017. Birmingham, UK: Ironbridge Institute – Birmingham University. Nahachewsky, Andriy, Maryna Chernyavska, Larisa Sembaliuk Cheladyn, (2017) Journey to Canada, Edmonton: Kule Folklore Centre. Cheladyn, Larisa Sembaliuk (2016). Larisa Sembaliuk Cheladyn, “Stitched Narratives: The Ukrainian Canadian Embroidered Pillow” master’s thesis, University of Alberta, 2016. Cheladyn, Larisa Sembaliuk, (2004) Celebrating Women, Ottawa: NCWC. Cheladyn, Larisa Sembaliuk, (1999) Flowers of the Bible, Edmonton: Ecclesia Publishing. Savedchuk, Lesia (2017), Футболні детективи, Illustrations: Larisa Sembaliuk Cheladyn, Calgary: Iskra Books. Nahachewsky, Andriy, Maryna Chernyavska, Larisa Sembaliuk Cheladyn (2017), Journey to Canada, Edmonton: Kule Folklore Centre. Onufrijchuk, Roman and Irka Balan (2006), Vasile Avramenko : A Legacy of Ukrainian Dance, Winnipeg: Shevchenko Foundation. Marcotte, Nancy Sellars, (1993), Ordinary People in Alberta’s Past, Edmonton: Arnold Publishing. Galvin, K. (1991), A Quebec Experience, Edmonton: Arnold Publishing. Gulutsan, Lena Hryhor, Gene Zwozdesky, Larisa Sembaliuk Cheladyn (1980) The Mosquito’s Wedding*, Edmonton: Kazka Productions. Gulutsan, Lena Hryhor, Gene Zwozdesky, Larisa Sembaliuk Cheladyn (1982) Snow Folks*, Edmonton: Kazka. Gulutsan, Lena Hryhor, Gene Zwozdesky, Larisa Sembaliuk Cheladyn (1987) Spring Serenade*, Edmonton: Kazka. Gulutsan, Lena Hryhor, Gene Zwozdesky, Larisa Sembaliuk Cheladyn (1988) The Enchanted Christmas Tree*, Edmonton: Kazka. Gulutsan, Lena Hryhor, Gene Zwozdesky, Larisa Sembaliuk Cheladyn (1989) Sing-a-long Treasures, Edmonton: Kazka. “Embroidered Memories – A 1000 Pillow Project” – Larisa Sembaliuk Cheladyn (Curator), in production, to be unveiled at Oseredok Ukrainian Cultural Centre, Winnipeg, MB – May 2018. “Five Waves of Inspirations” – Larisa Sembaliuk Cheladyn (Curator) – Calgary Public Library, Alberta Council for the Ukrainian Arts (ACUA) – July, 2017. “Five Waves of Inspirations” – Larisa Sembaliuk Cheladyn (Curator) – Art Gallery of Alberta (AGA), Alberta Council for the Ukrainian Arts (ACUA) – May 2017. “Lest We Forget…” – Larisa Sembaliuk Cheladyn (Curator) & Iryna Jendjowsky – Ukrainian Canadian Archives and Museum of Alberta, October 2016. “Journey to Canada” – Canadian Museum of Immigration at Pier 21, Andriy Nahachewsky, Maryna Chernyavska, Larisa Sembaliuk Cheladyn (Co-curators) – Kule Folklore Centre: Edmonton. July, 2016. “Boys & Girls” – Larisa Sembaliuk Cheladyn (illustration & Design). Illustrated adaptation of Alice Munro’s story – exhibited at “Comics Medium in the Museum”, UAlberta Rutherford Library, October 2016. “Baba’s Coat” – Larisa Sembaliuk Cheladyn, (Curator). A retrospective of paintings by Peter Shostak. Ukrainian Canadian Archives and Museum of Alberta, Edmonton, AB. (Date pending). “Making a New Home” – Andriy Nahachewsky, Maryna Chernyavska, Larisa Sembaliuk Cheladyn (Co-curators) Edmonton: Kule Folklore Centre, 2015. “Stitched Narratives” – Anne Bissonette, Larisa Cheladyn, et al. (Co-curators) – HECOL Gallery, University of Alberta, April 2015. “What’s New?” – Co-participant – UAlberta Museums and Services, Enterprise Square, April, 2015. “Vasile Avramenko: A Legacy of Ukrainian Dance”, eds. Onufrijchuk, Roman and Irka Balan, Larisa Sembaliuk Cheladyn (Layout & Design), Winnipeg: Shevchenko Foundation, 2006. 2015 – “Exploring Sound”, Jazz Piano: John Stetch, Choreography: Anastasia Maywood & Tatiana Cheladyn, Projection Design and Animation: Larisa Sembaliuk Cheladyn. A collaborative exploratory multi-media production sponsored by the University of Alberta and the University of Cape Breton. Edmonton: Art Gallery of Alberta. 2012 – “Bud’mo Cheremosh”. Projection Design and Animation: Larisa Sembaliuk Cheladyn, Choreographer: Mykola Kanavets Technician: Nico Van Der Kley. Edmonton:Meyer Horowitz Theatre. 2010 – Cheremosh 40th Anniversary Gala. Projection Design and Animation: Larisa Sembaliuk Cheladyn, Choreographer: Mykola Kanavets, Technician: Nico Van Der Kley. Edmonton: Expo Centre. 2009 – “Pioneer Suite” – Viter Ukrainian Dance Ensemble – Co-director and Projection Design: Larisa Sembaliuk Cheladyn, Choreographers: Tasha Orysiuk, Les Sereda, Technician: Nico Van Der Kley. Edmonton: Eva O Howard Theatre. 2009 – “Tower of Song” – Celebrating Leonard Cohen a Cohenights production. Projection Design: Larisa Sembaliuk Cheladyn, Music and Lyrics: Leonard Cohen, Choreographers: Joanne Lowry, Maria Chia, Tatiana Cheladyn, Technician: Nico Van Der Kley. Edmonton: Jubilee Auditorium. 2008 – “Dance Me…” International Leonard Cohen Festival. A Cohenights production. Artistic Director and Projection Design: Larisa Sembaliuk Cheladyn. Music and Lyrics: Leonard Cohen, Choreographers: Joanne Lowry, Maria Chia, Tatiana Cheladyn,Technician: Nico Van Der Kley. Edmonton: Citadel/Shoctor Theatre. 2016 – Poppies & Podushky – Solo Exhibit, Edmonton: ACUA. 2013 – “Pouring Paint” – Solo Exhibit – Kings University, Edmonton. 2013 – “An Ensemble of Colour” – Group Exhibit of Ukrainian Canadian Artists, Toronto: KUMF. 2012 – “A Little Illumination” – Solo Exhibit, Edmonton: UCAMA. 2012 – “Flowers of the Bible/Квіти Біблійі”– Lviv, Ukraine: Project Prosvita. 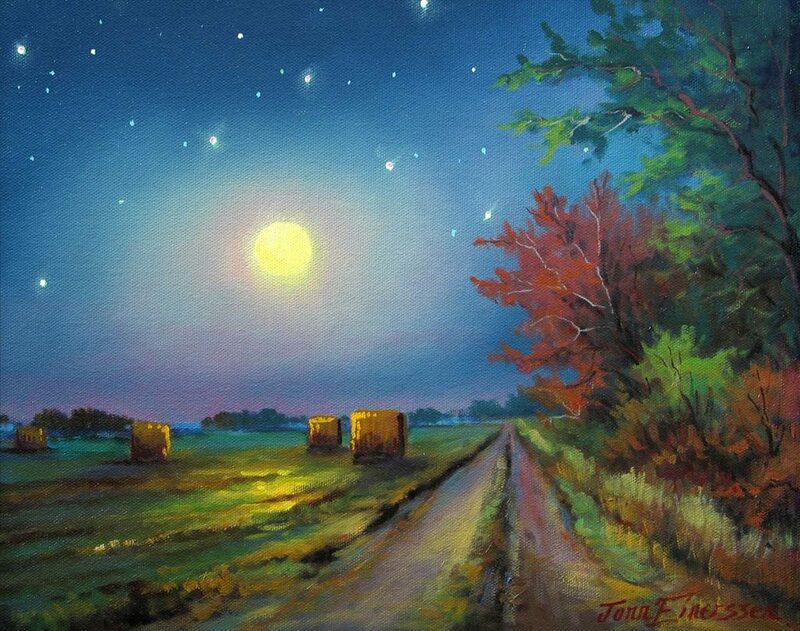 2012 – “Prairie Dreamscapes” – Group Exhibition of Alberta Artists, Toronto: KUMF. 2010 – “An Ensemble of Colour” – 40th Anniversary commission for the Cheremosh Ukrainian Dance Ensemble. Unveiling of an 8-panel watercolour painting depicting 40 years of dance costuming. 2008/09 – “Painting Stories” – Government of Alberta – Historic Sites. A Retrospective exhibition featuring illustrations by Larisa Sembaliuk Cheladyn for Kazka Productions Ltd. that were published in the 1980s. 2004/05 – “Celebrating Women”- A solo, 9 city touring exhibit of 25 paintings honouring Canadian women. 10 Canadian cities, touring exhibition of 24 paintings created by Larisa Sembaliuk Cheladyn. Commissioned and hosted by the National Council of Women of Canada. 2003 – “Baba’s Garden” Solo, Featured summer exhibition. Ukrainian Village: Alberta Historic Sites. 1998-2000 – “Flowers of the Bible”- A solo, 10 city touring exhibit of 25 paintings created by Larisa Sembaliuk Cheladyn. Commissioned by the Flowers of the Bible Society. Hosted by the Ukrainian Women’s Association of Canada in: Victoria, Vancouver, Kelowna, Edmonton, Saskatoon, Regina, Winnipeg, Oakville, Ottawa, and Toronto. 1998 – “Kalyna in the Country”, Solo Exhibition, Mundare, AB: Basilian Fathers Museum. 1997 – “A Collection of Colours”, Solo Exhibition, Geneva Botanical Gardens, Geneva, Switzerland. 1997 – “Blossoms of Colour”, Solo Exhibition, Victoria, BC. Oct 1995 – Citadel Theatre – Edmonton, AB. Nov 1995 – Toronto Botanical Gardens. Dec 1995 – Guayaquil, Ecuador – Museo Municipal de Guayaquil, Bosque Protector Cerro Blanco. Jan 1996 – Punta Del Este, Uruguay – World Wildlife Fund (Argentina), Canadian Embassy (Uruguay). Feb 1996 – Buenos Aires, Argentina – Villa Ocampo, World Wildlife Fund (Argentina), and Canadian Embassy (Argentina). May 1996 – Geneva, Switzerland – World Wide Fund for Nature – International, City of Geneva, Geneva Botanical Gardens. Opening remarks by HRH Prince Philip Duke of Edinburgh. 1994 – “Festival of Poppies”, Solo Exhibition, Winnipeg: Pantages Theatre. 1994 – “Wildflowers”, Solo Exhibition, Edmonton: Walterdale Theatre. 1993 – “Festival of Poppies”, Solo Exhibition, Edmonton: Citadel Theatre. 1993 – “Edmonton Art Club Annual Exhibit”, Juried Group Exhibition, Edmonton: Edmonton Art Gallery. World Wildlife Fund – International, Geneva Botanical Gardens, Toronto Botanical Gardens. 2017 – The Four Seasons – A collection of scarves celebrating the 50th Anniversary of the Pavlychenko Folklorique Ensemble in Saskatoon, SK. 2016 – Silk scarves – A collection of scarves featuring poppies and wheat. 2004 – Silk scarf – Featuring poppy image “National Pride”. Produced by NCWC. 2006 – Vinok LaParka – Featuring the image “Vinok”, Manufactured by Linda Lundstrom Inc. In September 2009, Dodge travelled to the Galapagos as recipient of the AFC’s tenth Flag Expedition fellowship, to spend forty days studying, sketching and photographing the unique animals and plants of the Islands. The purpose of her expedition was to study through sketching, notes, photography and collaboration with local scientific experts, the endemic and endangered flora and fauna of the Galapagos archipelago. During her expedition, Kelly successfully explored ten of the thirteen islands in the archipelago, ranging from open sea and rock islets to the six distinct vegetation zones – each supporting specific communities of plants and animals. Her objectives included partnering with local NGOs to support the preservation, restoration and enhancement of the Galapagos ecosystem with a goal of creating a major body of artwork featuring the diversity of endangered species living on the islands. Through her artwork, she placed a strong emphasis on environmental education, while highlighting the conservation challenges each species faces. Her studies, while in the field, encompassed endemic and resident birds, mammals and reptiles of the eight zones of the Galapagos archipelago. Her goal was to observe, learn about and document as many of the endemic and resident wildlife species as possible as they relate specifically to the habitat zones that support and sustain them, and as they relate to each other both physiologically and behaviorally. 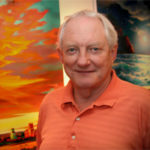 Kelly created a significant body of studio artwork inspired from her expedition, and the Lindsay Public Gallery in Lindsay, Ontario hosted a major solo exhibition focused entirely on the Galapagos. Two years earlier in 2007, Kelly was the only accompanying artist on a previous Artists For Conservation Flag Expedition awarded to world renowned American watercolourist, David Rankin.In this expedition, David Rankin, accompanied by his wife, Deanna and fellow AFC member Kelly Dodge, travelled through Northern India. Their journey took them deep into the Himalayas to the Gangotri glacier, at the headwaters of the sacred Ganges River. David’s intention was to create a body of artwork that captured the beauty and ecological complexity of the Garhwal and Kumaon Himalayas with an emphasis on documenting the ecological and conservation challenges facing the Ganges River system. *First artist to win this award. -Professional Conservationist Award, Carling – O’Keefe, 1986 *First artist to win this award. 2017 ARC International Touring Exhibition – Salmagundi Club / NYC, and MEAM (European Museum Modern Art), Barcelona, Spain. 2016-17 AFC International Touring Exhibition – Grouse Mountain, Vancouver / Arizona Desert Museum USA / Qingdao Lan Wan Art Gallery, Qingdao City, China. 2016-17 SAA American Touring Exhibition: Houston Museum of Natural History / Hiram Bleauvelt Art Museum / Sternberg Museum of Natural History / Museum of the Shenandoah Valley. 2016 Western Visions Exhibition: National Museum of Wildlife Art, Jackson, Wyoming. 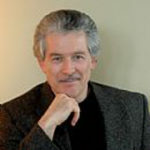 ‘Sparrow’s Rest’ by Michael Dumas was the recipient of the Dual Category Award. It is also selected for international exhibition, opening at the Salmagundi Club in New York City from May 12 -June 1, 2017. The exhibit will then be on view at the MEAM, the European Museum of Modern Art, in Barcelona, Spain from Sept. 23 – Nov 27. ‘Sparrow’s Rest’ was also selected for exhibition at the National Museum of Wildlife Art, Jackson, Wyoming Sept 7 – Oct 9, 2016. Michael’s painting, ‘Innocence’ has been selected for the SAA exhibition tour and will be on display at The Hiram Bleauvelt Art Museum in Oradell, NJ, January 21 – March 12, 2017; Sternberg Museum of Natural History, Fort Hays University, Hays, Kansas, March 25 – May 12, 2017; Museum of the Shenandoah Valley, Winchester, Virginia, May 27 – Sept 3, 2017. 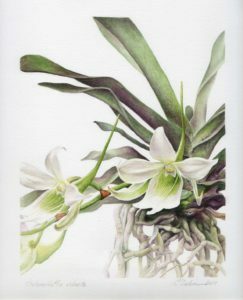 Two Dumas artworks have been accepted into the 2016 AFC International Exhibit of Nature in Art; ‘Innocence’ appears in the online virtual exhibition, and ‘Fox Sparrow Study’ for both the virtual and the live exhibit opening at the Grouse Mountain Resort, Vancouver, BC, Canada, September 29 – Oct 3, 2016. ‘Fox Sparrow Study’ is part of the exhibit tour, first to the Arizona Desert Museum, Tucson, AZ, Dec 10 – Feb 12, 2016, and then to Qingdao Lan Wan Art Gallery, Qingdado City, China, Aug 1 – Sept 30, 2017. Dumas Artwork is included in two new book releases by North Light Books ; ‘Strokes of Genius 8’ – The Best of Drawing and ‘Art Journey: Animals’ – A Collection of Inspiring Contemporary Masterworks. Western Art Collector Magazine – Sept 2016 issue: Group Exhibition Article: ‘Breaking Trail’ – Western Visions at the National Wildlife Art Museum. 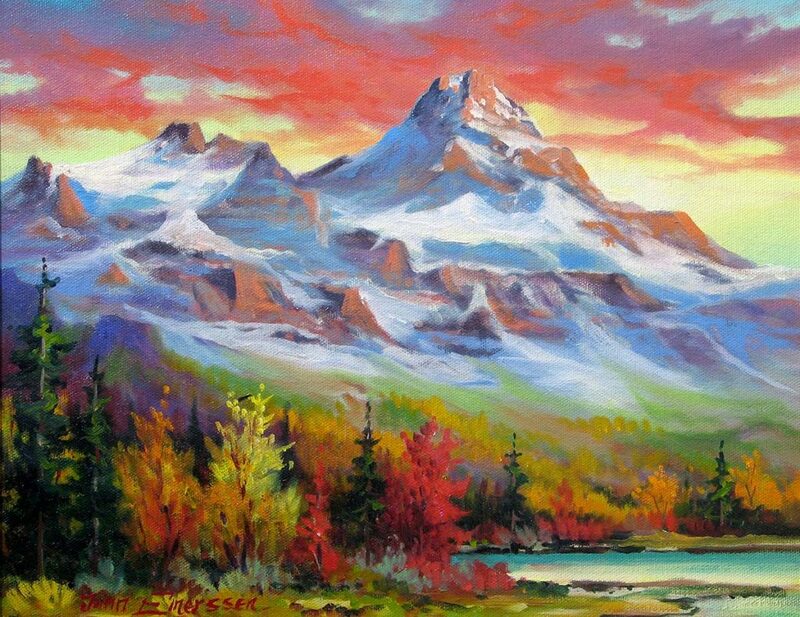 Graham Flatt is a western artist whose images reflect his passion for painting. 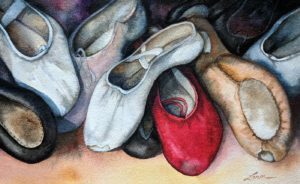 Primarily self-taught in the areas of design and composition, Flatt has attended a variety of watercolor workshops over the years. His dedication to painting has allowed him to experience many influences, which has ultimately resulted in his signature style of painting. Flatt is a very bold, direct painter with an emphasis on strong design elements. Working with a limited palette, Flatt maintains a delicate balance between passion and design. 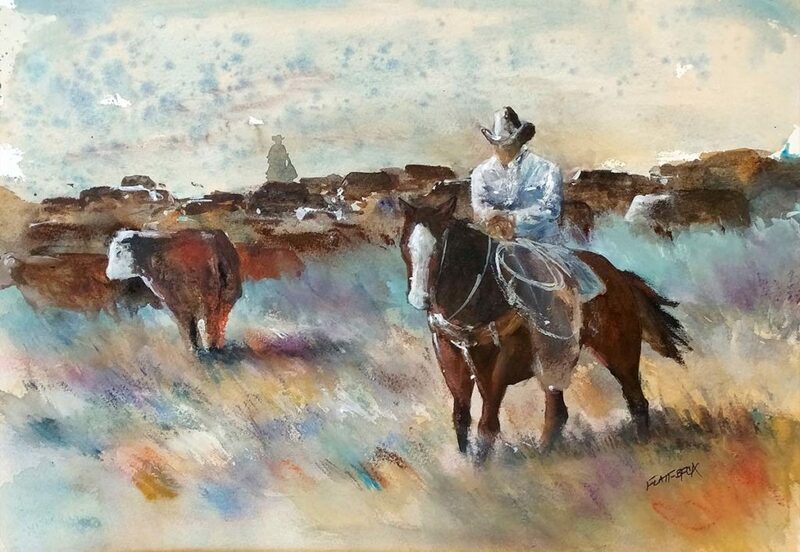 Graham Flatt was awarded the Ralph “Tuffy” Berg Award for the Best New Artist at the 2000 C. M. Russell Auction of Original Western Art in Great Falls, Montana. Flatt is the only international winner of this award in its 38 year history. His design for a 3/4 life size buffalo was chosen as one of only 24 for a C.M. Russell museum fundraising effort. 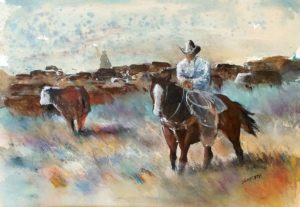 Flatt has gone on to win numerous other awards including “Best of Show” and “People’s Choice” in both Canada and the U.S.
Has painted professionally for more than 10 years. 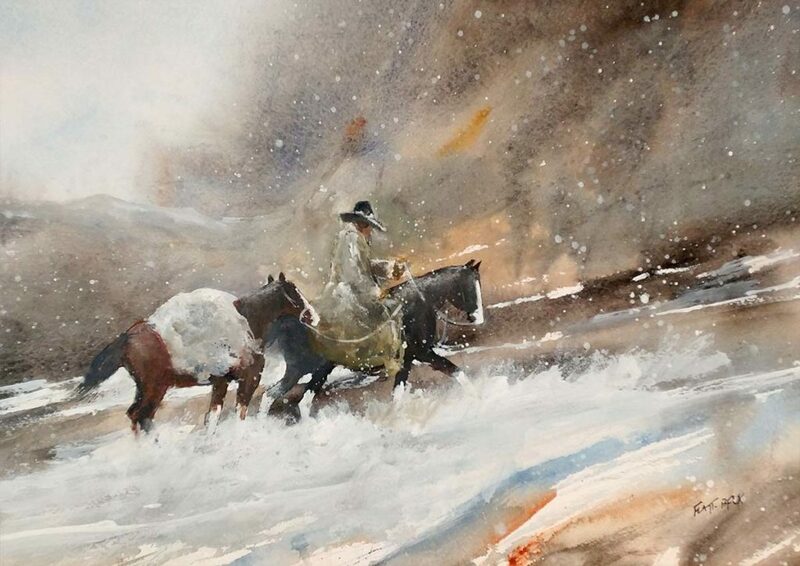 Flatt has quickly emerged as one of Canada’s top western watercolorist with numerous sold out shows throughout Canada and the United States. Recently, Graham has added acrylic painting to his repertoire and has begun exploring chalk pastels in conjunction with his dynamic watercolors. 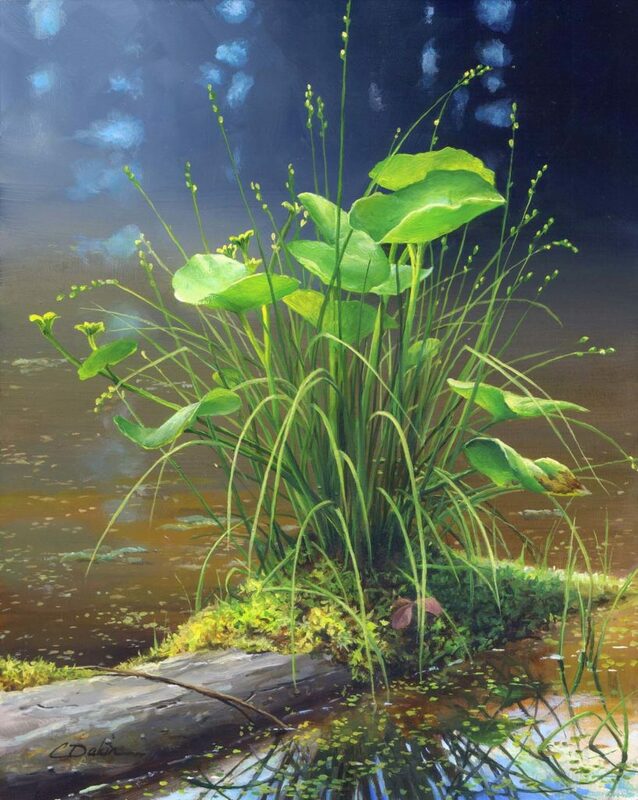 His enthusiastic approach to watercolor and instruction has made Graham a sought after workshop instructor and lecturer in both Canada and the United States. Working as a fulltime Artist has allowed Graham to travel all over Western Canada and the U.S. in search of ideas and things to paint. 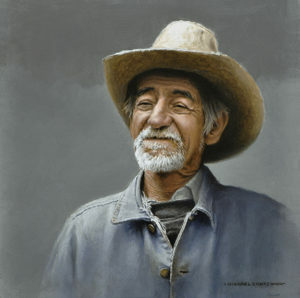 His artwork can be found in corporate and private collections in more than 25 countries. First-ever Featured Artist at the prestigious Pacific Rim Wildlife Art Show. He’s hiked and camped in mountains and forests throughout the northwest U.S., Central America and East Africa. He knows the lakes and mountains as well as he knows the plains and deserts, not to mention almost all the creatures who live there, from the smallest bird to the largest elephant. And he will paint them on whatever size canvas suits them best. In addition to his peaceful views of animals in their natural habitats, he is also known for his paintings’ many different sizes and shapes—each chosen to best suit his perfectly balanced images of wildlife and wilderness.